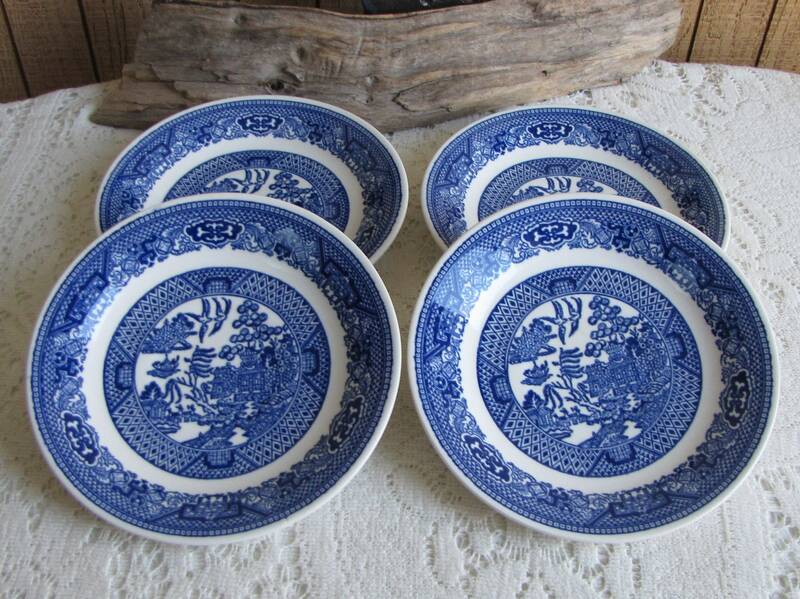 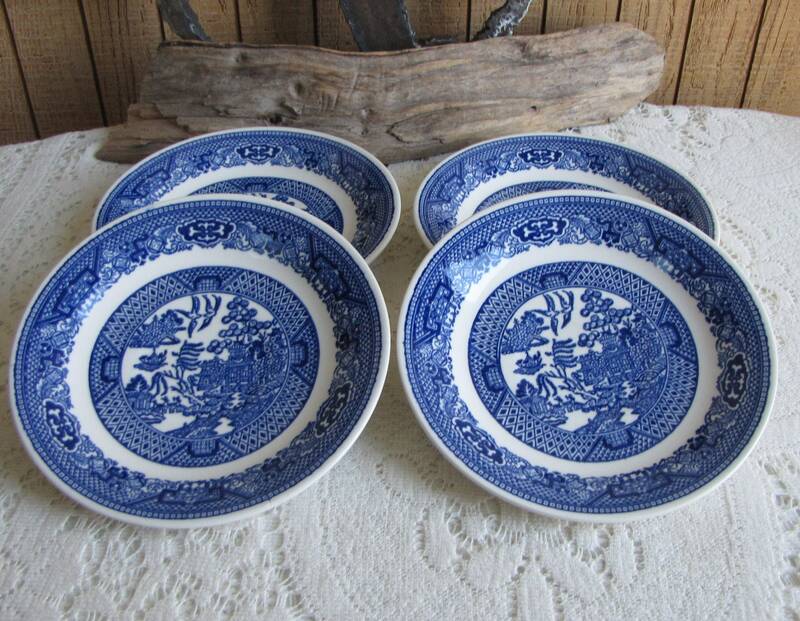 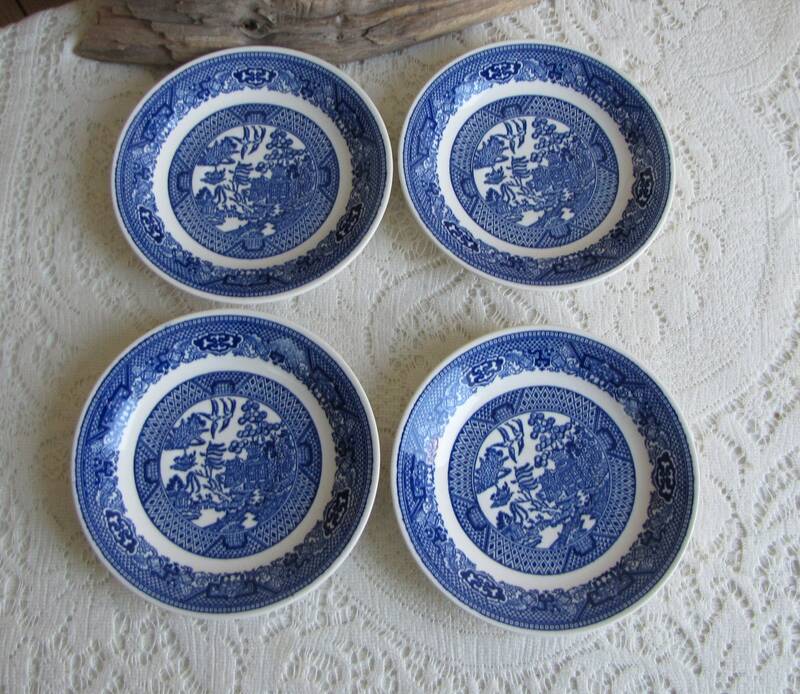 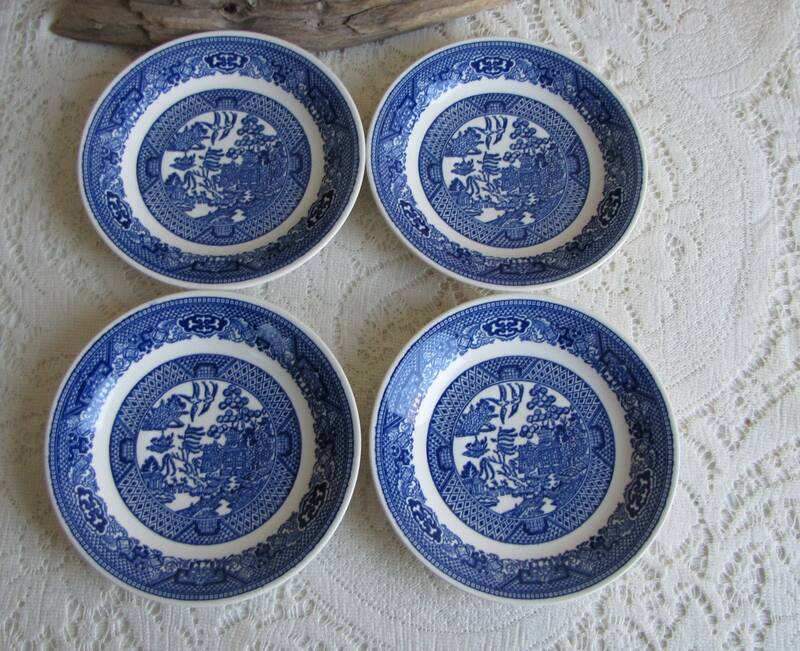 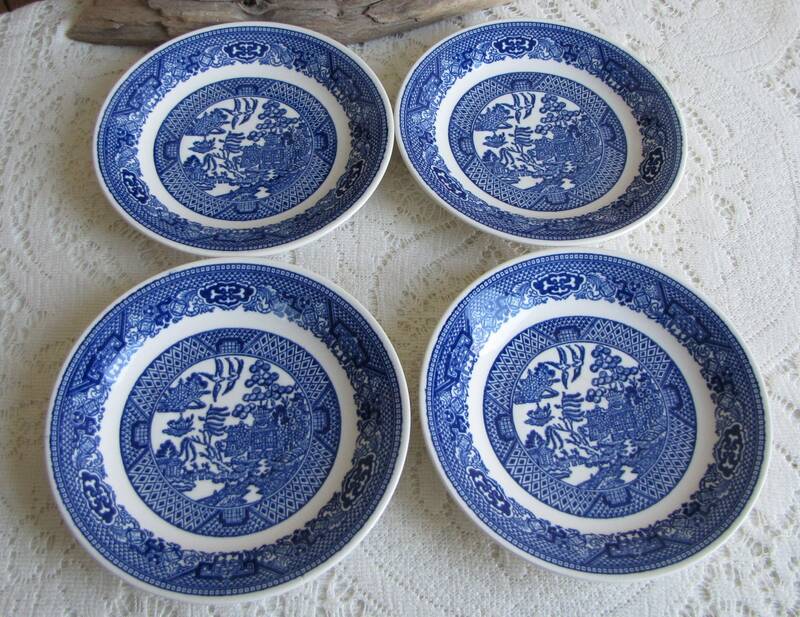 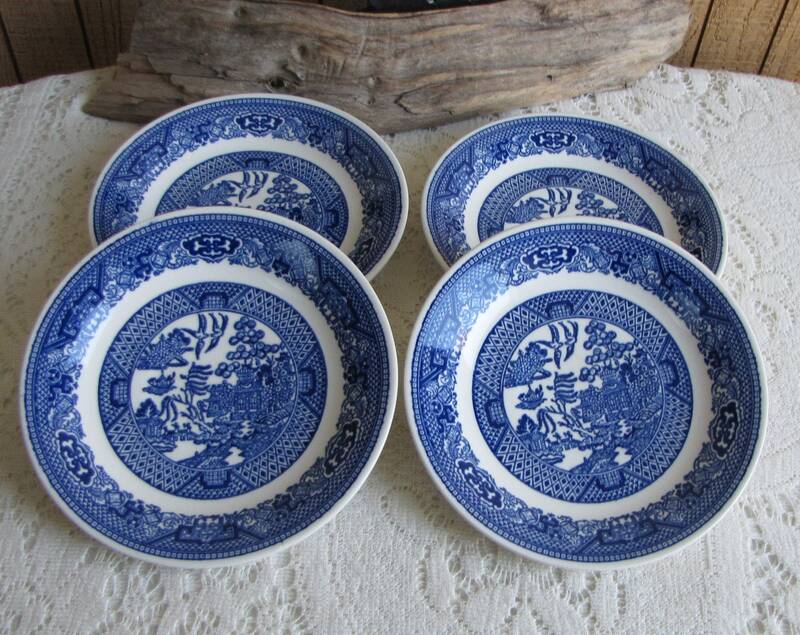 A listing for 4 blue willow saucers made by Royal China, Sebring, OH. 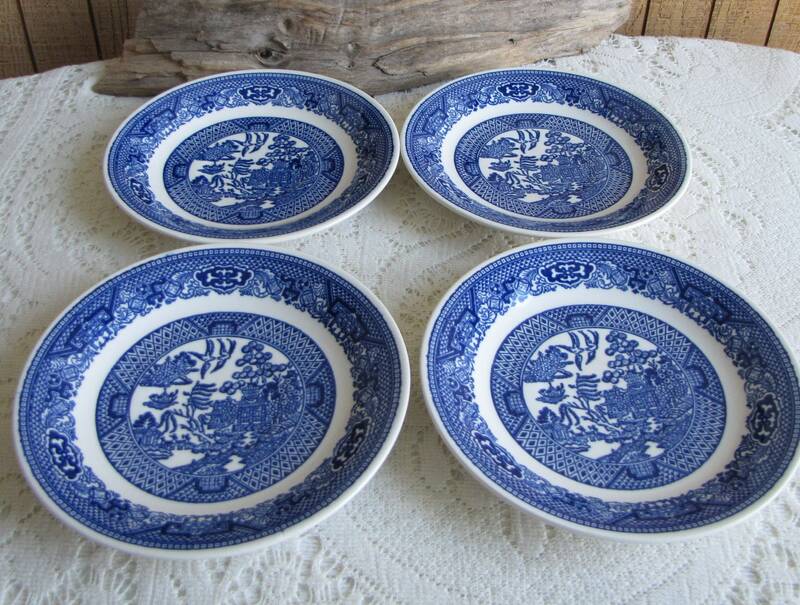 The small plates are in very good vintage condition with no chips, cracks, or crazing; minor utensil marks. 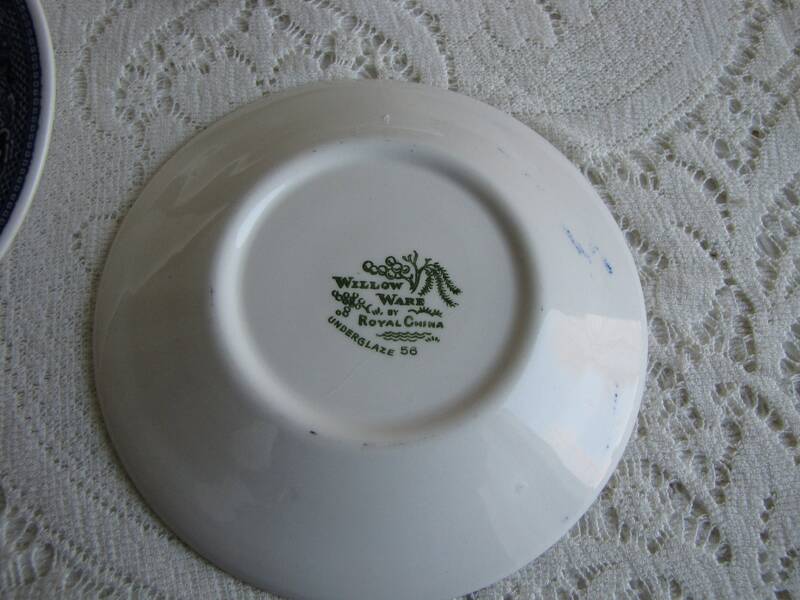 These saucers measure 6 inches in diameter.